Pune has been known by a plethora of sobriquets. Popular among them: Queen of the Deccan, cultural capital of Maharashtra, pensioner's paradise and Oxford of the East. Pune is one of the historical cities of India with a glorious past, an innovative present and a promising future. The Pune Municipal Corporation administers the city. Its boundaries extend over four hundred square kilometres and it has a population of close to four million. 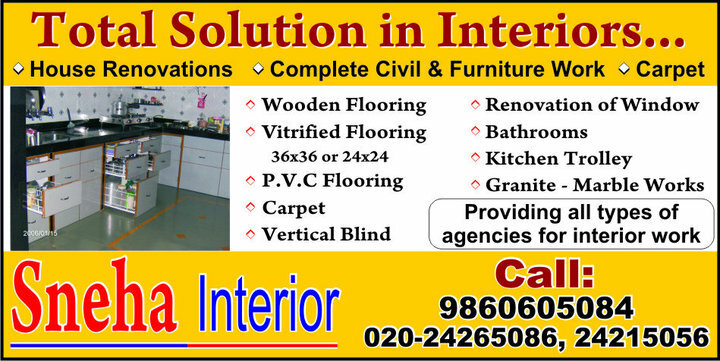 Thus, Pune city has been developed into a Pune metropolitan area, just equal in area to that of Greater Mumbai. It is located 192 km (by rail) and 160 km (by road) from Mumbai and is 559 meters above the mean sea level. Being surrounded by beautiful hills and the Sinhagad fort, it has a temperate climate. Water, which is plentiful, is supplied to the city from Panshet, Khadakvasla and Varasgaon dams --all located about thirty kilometers from Pune. Pune is among the greenest urban areas in the country with more than 40 per cent of its area under green cover. 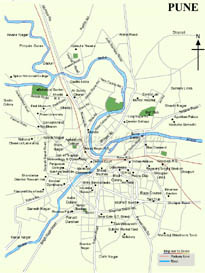 PUNE or Punyanagri as it is called has had a glorious past of nearly 1000 years. Pune’s history is both illustrious and romantic. The city’s historical associations are fast woven with Shivaji Maharaj, the Peshwas and Lokmanya Tilak. It was here, in the Lal Mahal that Shivaji boldly attacked Aurangzeb’s uncle, Shaista Khan and won back the lost territories. Later it was ruled by the Peshwas. When Bajirao-I became the Peshwa, he made Pune the headquarters of the army and the Shaniwar Wada was built. Bazaars and shopping plazas. Palaces and ritzy hotels. Temples, mosques, churches and even a synagogue to visit. This sprawling metropolis conjures up a myriad images - ancient forts, ornate palaces, lush gardens, shopping arcades, educational institutions and rolling hills. 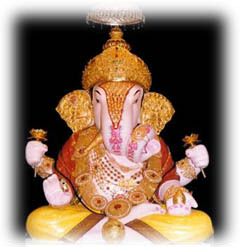 The Ganapati festival celebrated yearly, called the Pune Festival, has made its mark on the tourist map of India.